"ha! 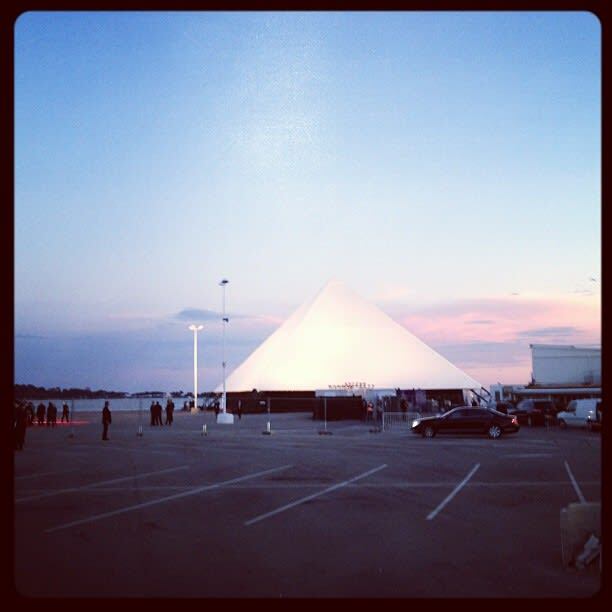 @kanyewest has erected a pyramid at #cannes. about to see his new short. oh my"